A woman of great influence, influenced my generation. “God never uses a person greatly until He has wounded him deeply. 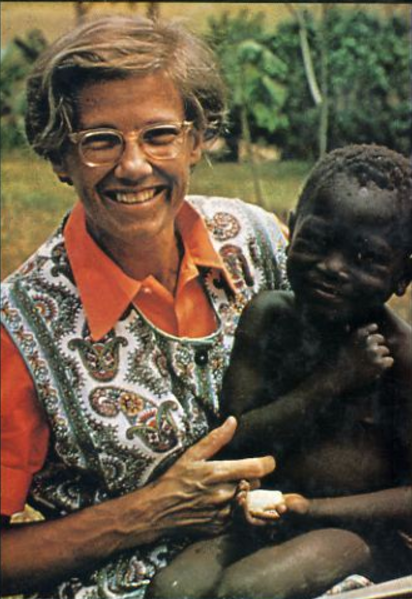 Dr. Helen Roseveare, a famous English missionary to the Congo, has passed away at the age of 91. Helen Roseveare was born in 1925 at Haileybury College (Hertfordshire, England), where her father taught mathematics. Raised in a high Anglican church, Helen’s Sunday school teacher once told their class about India, and Helen resolved to herself that she would one day be a missionary. Despite the Christian heritage of her family, and faithful attendance at church, Helen sensed a void in her life and distance from God. She enrolled in Newnham College at Cambridge University to study medicine. There she joined the Cambridge Inter-Collegiate Christian Union (CICCU) through the invitation of a student named Dorothy. She became an active participant in the prayer meetings and Bible studies, reading the New Testament for the first time. But she later said that her understanding of Christianity was more head knowledge than heart engagement. 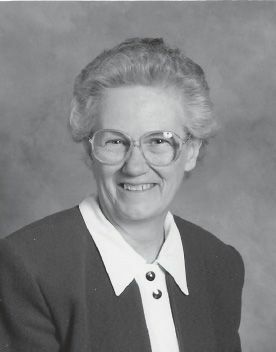 After graduating from Cambridge with her doctorate in medicine, Helen studied for six months at the Worldwide Evangelization Crusade college at Crystal Palace. From there she went to Belgium to study French and Holland to take a course on tropical medicine as she prepared for her appointment as a medical missionary in the Congo. In mid-March of 1953, at the age of 28, she arrived in the northeastern region of the Congo (later named Zaire). In the first two years, she founded a training school for nurses, training women to serve as nurse-evangelists, who in turn would run clinics and dispensaries in different regions. In October 1955, she was asked to transfer seven miles away to run an abandoned maternity and leprosy center in Nebobongo. Working with local Africans, Helen helped to transform the center into a hospital with 100 beds, serving mothers, lepers, and children, along with a training school for paramedics and 48 rural clinics. Outside of these facilities, there was no other medical help for 150 miles in any direction. Exhausted, Helen returned to England in 1958 for a furlough, during which time she received further medical training. The Congo became independent from Belgium in 1960, and civil war broke out in 1964. All of the medical facilities they had established were destroyed. Helen was among ten Protestant missionaries put under house arrest by the rebel forces for several weeks, after which time they were moved and imprisoned. [God] understood not only my desperate misery but also my awakened desires and mixed up horror of emotional trauma. I knew that Philippians 4:19, “My God will supply every need of yours according to his riches in glory in Christ Jesus,” was true on all levels, not just on a hyper-spiritual shelf where I had tried to relegate it. . . . He was actually offering me the inestimable privilege of sharing in some little way in the fellowship of His sufferings. In the weeks of imprisonment that followed and in the subsequent years of continued service, looking back, one has tried to “count the cost,” but I find it all swallowed up in privilege. The cost suddenly seems very small and transient in the greatness and permanence of the privilege. You no longer want Jesus only, but Jesus plus . . . plus respect, popularity, public opinion, success and pride. You wanted to go out with all the trumpets blaring, from a farewell-do that you organized for yourself with photographs and tape-recordings to show and play at home, just to reveal what you had achieved. You wanted to feel needed and respected. You wanted the other missionaries to be worried about how they’ll ever carry on after you’ve gone. You’d like letters when you go home to tell how much they realize they owe to you, how much they miss you. All this and more. Jesus plus. . . . No, you can’t have it. Either it must be “Jesus only” or you’ll find you have no Jesus. You’ll substitute Helen Roseveare. In 1973, Helen returned to the UK for health reasons, settling in Northern Ireland. She traveled, wrote several books, and served as a missionary advocate. She went to be with her Lord, from whom she counted it a privilege to suffer, on December 7, 2016, at the age of 91. I will say that among the many who read this account, we have been reminded of one of God’s gifts to us in the person of a woman leader in missions…who now has entered the great cloud of witnesses of Hebrews 12.